A store in Tadoussac, St. Lawrence selling artwork and souvenirs. Souvenir Store in Tadoussac, St. Lawrence, selling sculptures and souvenirs. 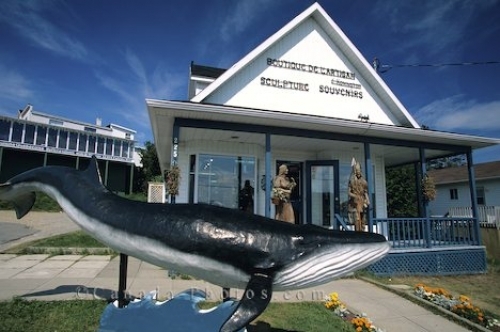 Photo of a whale in front of a souvenir store in Tadoussac, St. Lawrence, Quebec, Canada.